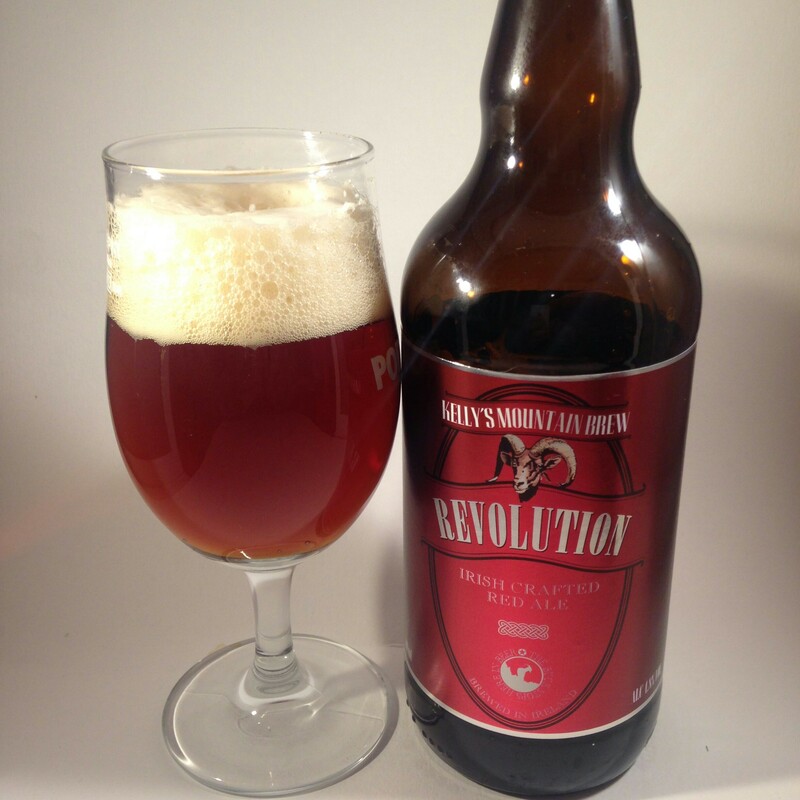 Revolution & Revenge: Beers from Kelly’s Mountain Brew | Simon Says… You really should drink this! I stopped in to the Carry Out in Tullamore last night to check out their expanded beer selection and I picked up a pair of beers from Kelly’s Mountain Brew. The brewery is based in Clane, Co Kildare and they do everything in house, right down to hand writing the best before dates on the label! The Revolution Red Ale is a lovely rich looking beer. It’s hopped with Magnum and Cascade and it’s nicely balanced by crystal malt. It’s 4.8% and I really enjoyed it. 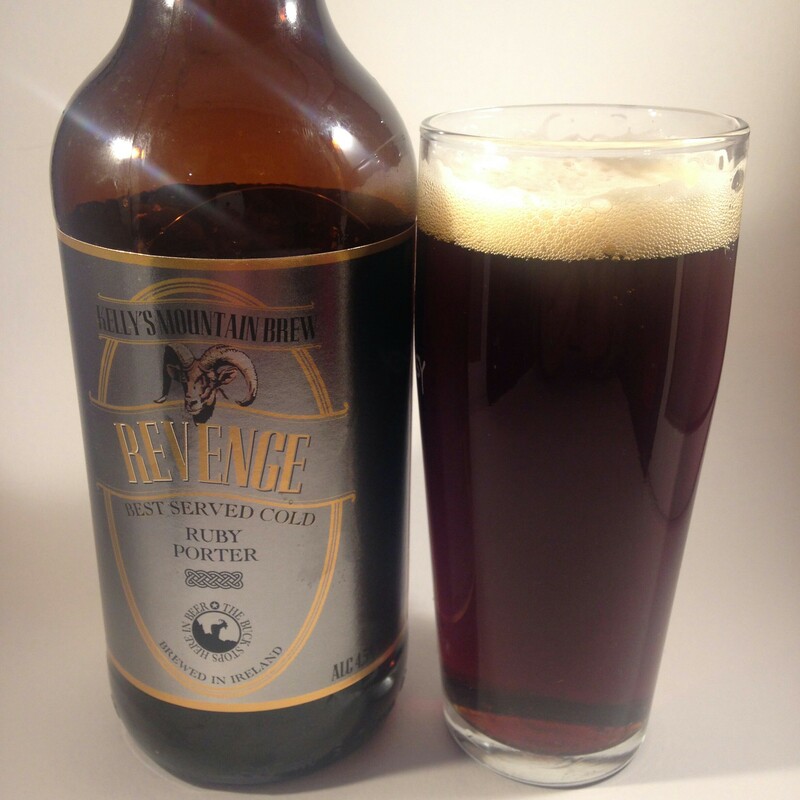 The Revenge Ruby Porter is a little different to the darker porters we’ve become accustomed to. It’s relatively light in mouthfeel while maintaining a pleasant toffee maltiness. The recommended food pairings are meaty dishes or a cheese board. All I had was a bag of salt and vinegar crisps as they were all out of cheese boards in the Off Licence. ( Maybe some advance planning would be wise in future) Anyway this beer stands up very well on it’s own, it’s very tasty. Sláinte! 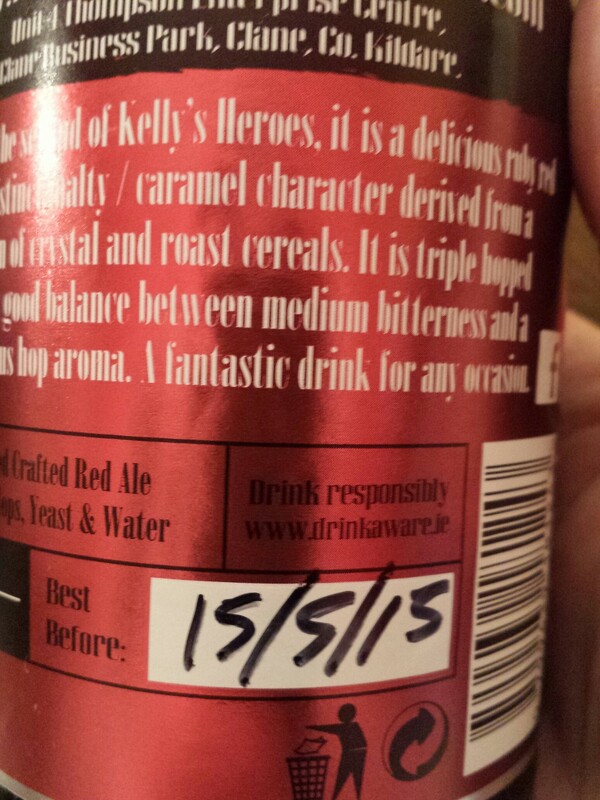 This entry was posted in Uncategorized and tagged Beer, Irish Breweries, Porter, Red Ale. Bookmark the permalink.